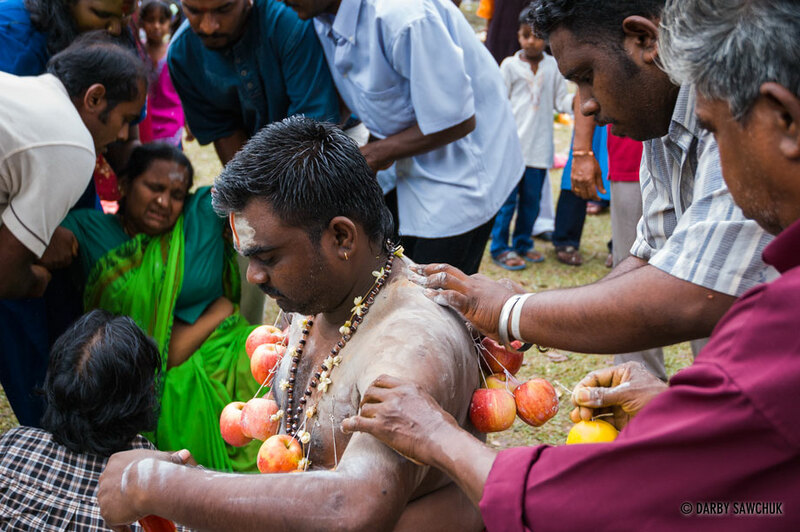 Thaipusam is a Hindu festival that sees worshippers test their endurance and show their appreciation to the Tamil god Murugan through a pilgrimage to holy sites. It’s a true sensory overload and a remarkable display of faith. 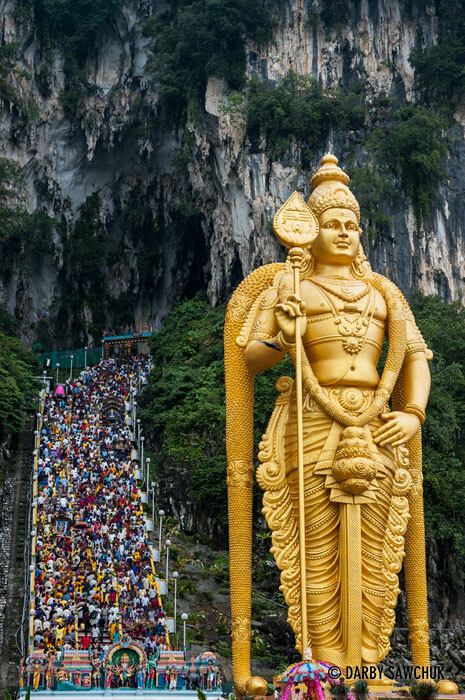 One of the larger Thaipusam festivals outside of India is the celebration in the Batu Caves in Kuala Lumpur, Malaysia. There, over a million devotees march, dance and stumble up 272 steps into the giant limestone caves throughout the course of the day. 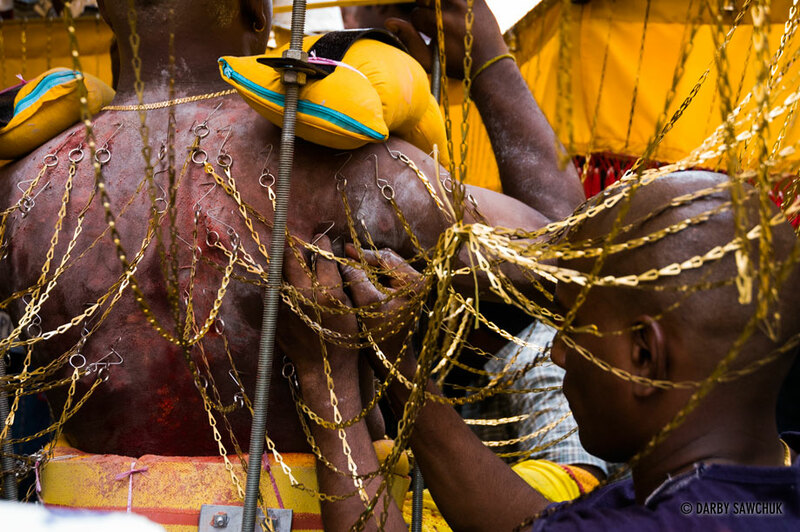 What makes Thaipusam extraordinary is that the entranced pilgrims often carry their offerings in an unusual manner: dangling from their skin. 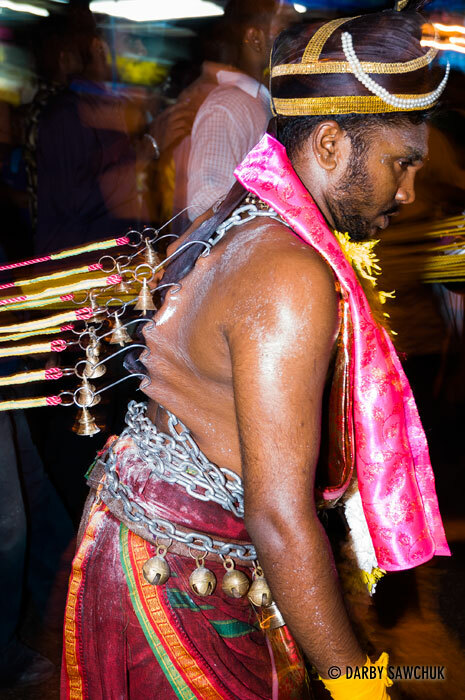 Hooks bearing the weight of their loads pierce the flesh of the devotees and hang from their bodies as they march towards their goal. 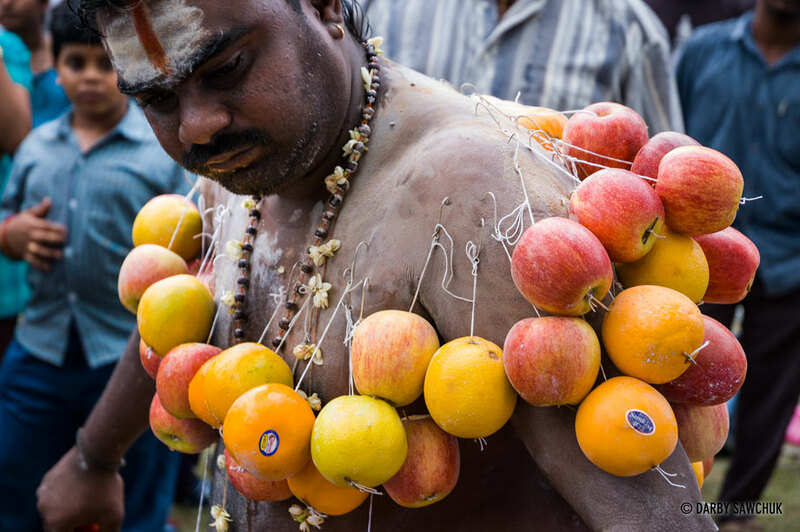 Others carry kavadis atop their shoulders – frameworks from which chains hang that are stuck into the backs of their bearers. 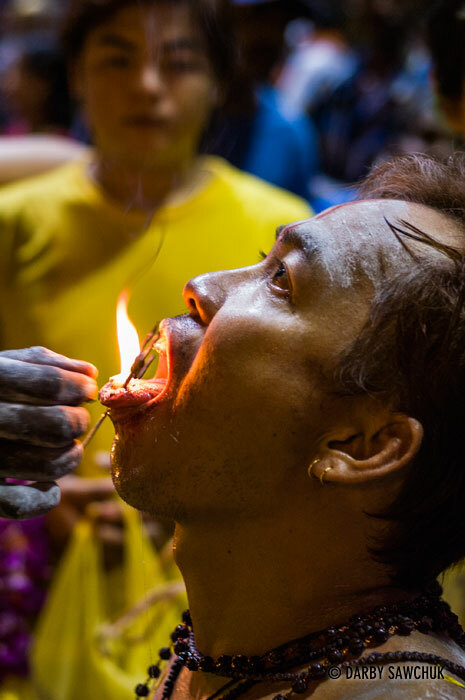 Others still feature pierced tongues or cheeks while some devotees use hooks skewering their backs to tow friends along their path. If it all sounds a bit graphic, it certainly is, but it’s nowhere near as bloody as you might think. Devotees are meant to be under the protection of their deities who prevent the pilgrims from shedding blood. Whatever the explanation, I didn’t see a single person shed a drop. That said, the photos that follow may not be everyone’s cup of tea, so if you are at all squeamish about these sorts of things, turn back now. But if you’d like to see faces filled with faith, endurance and emotion, continue on. If you’d like to see more images from the region, please visit my gallery of photos of Malaysia. 01. 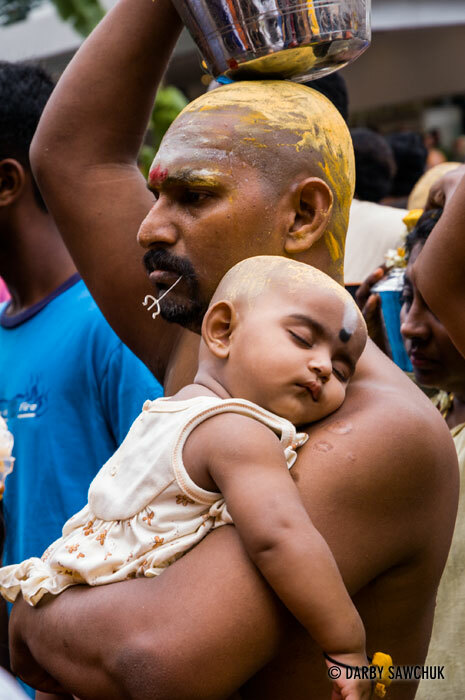 The Hindu festival of Thaipusam celebrated in and around the Batu Caves in Kuala Lumpur, Malaysia. 02. 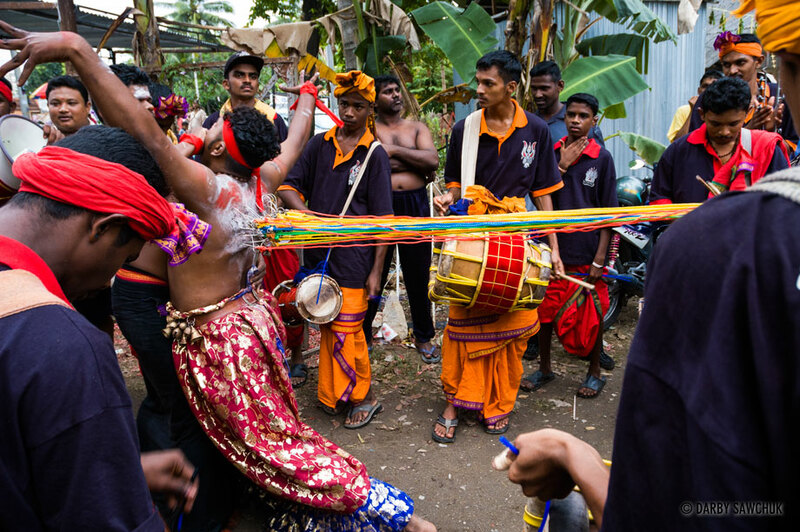 The Hindu festival of Thaipusam celebrated in and around the Batu Caves in Kuala Lumpur, Malaysia. 03. 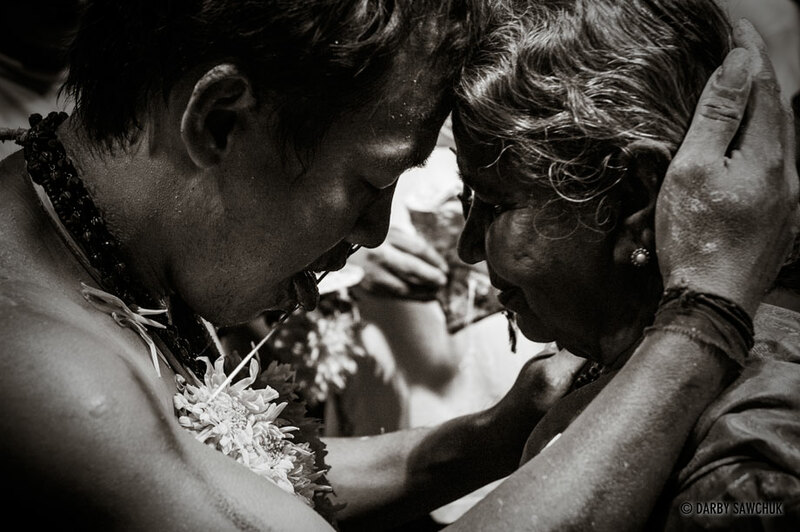 The Hindu festival of Thaipusam celebrated in and around the Batu Caves in Kuala Lumpur, Malaysia. 04. 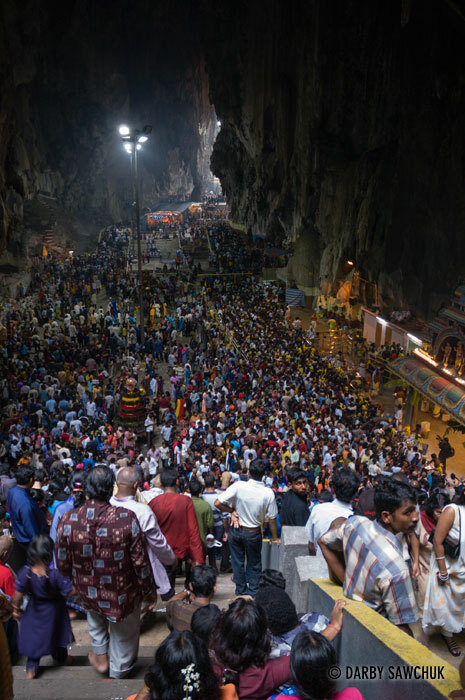 The Hindu festival of Thaipusam celebrated in and around the Batu Caves in Kuala Lumpur, Malaysia. 05. 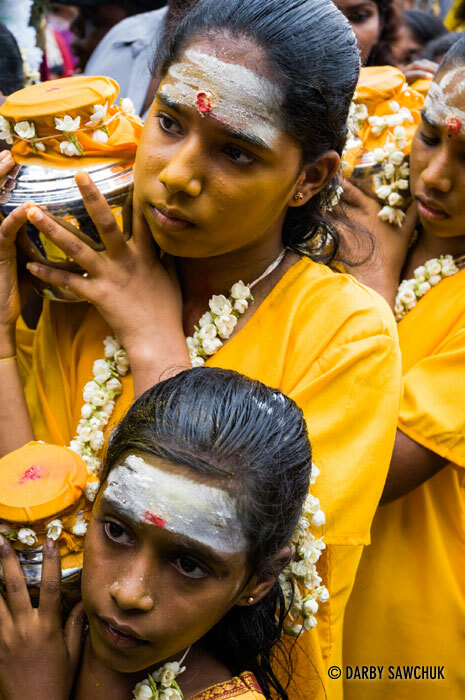 The Hindu festival of Thaipusam celebrated in and around the Batu Caves in Kuala Lumpur, Malaysia. 06. The Hindu festival of Thaipusam celebrated in and around the Batu Caves in Kuala Lumpur, Malaysia. 07. 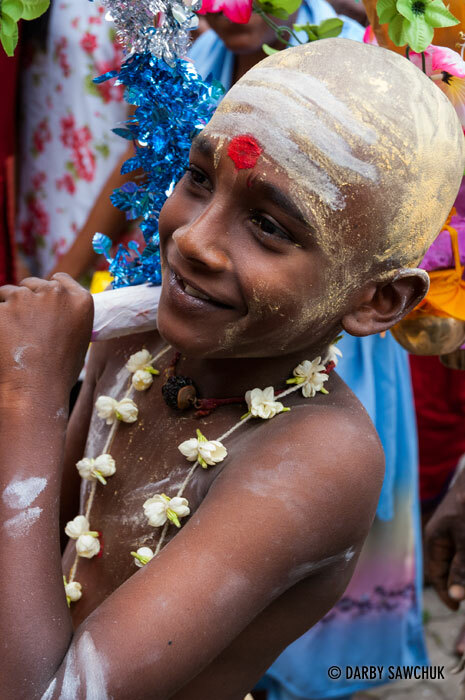 The Hindu festival of Thaipusam celebrated in and around the Batu Caves in Kuala Lumpur, Malaysia. 08. 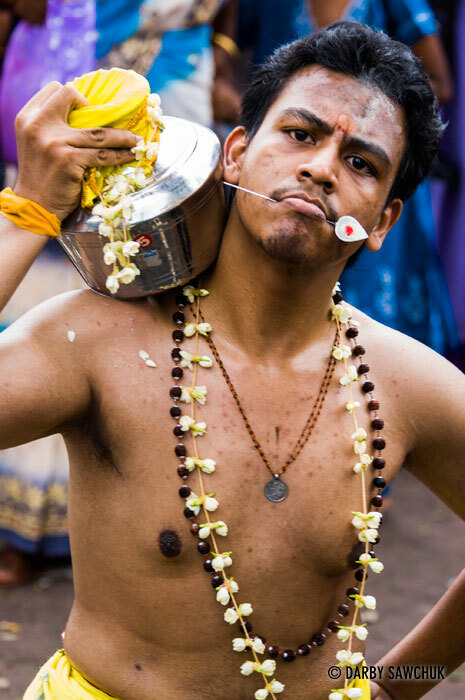 The Hindu festival of Thaipusam celebrated in and around the Batu Caves in Kuala Lumpur, Malaysia. 09. 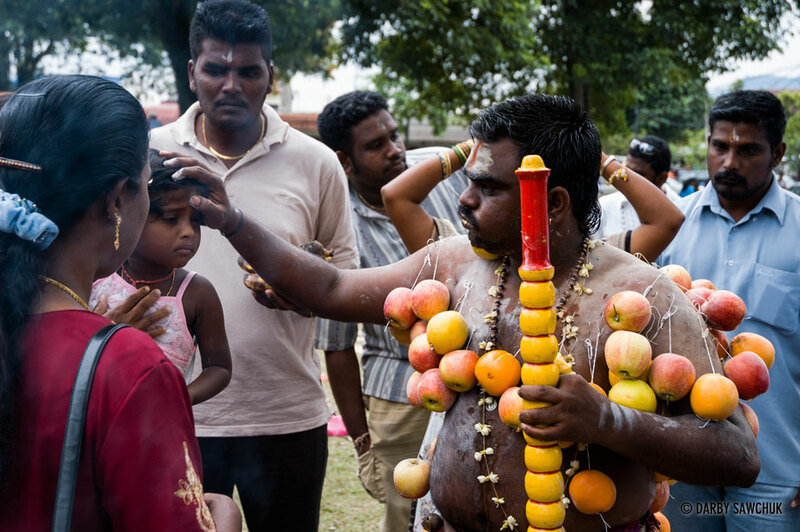 The Hindu festival of Thaipusam celebrated in and around the Batu Caves in Kuala Lumpur, Malaysia. 10. 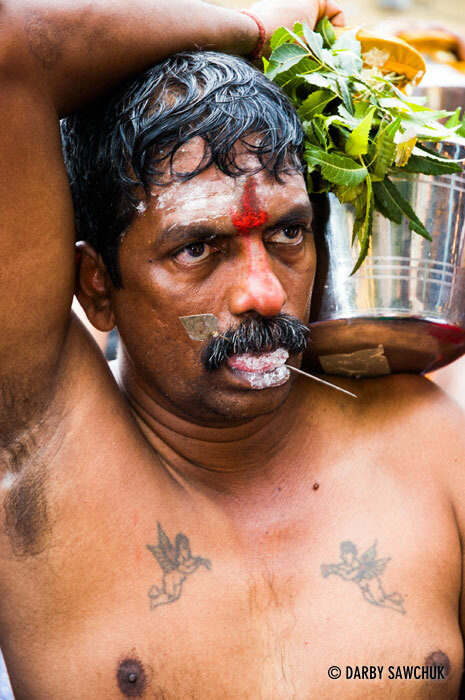 The Hindu festival of Thaipusam celebrated in and around the Batu Caves in Kuala Lumpur, Malaysia. 11. 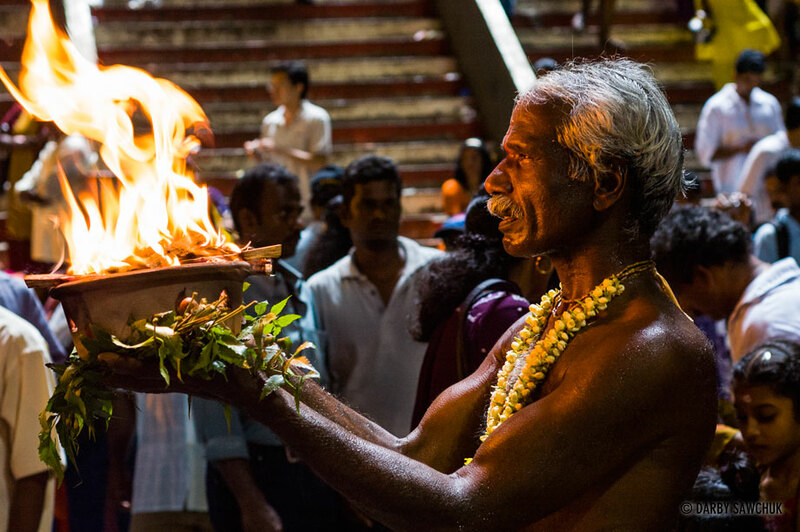 The Hindu festival of Thaipusam celebrated in and around the Batu Caves in Kuala Lumpur, Malaysia. 12. 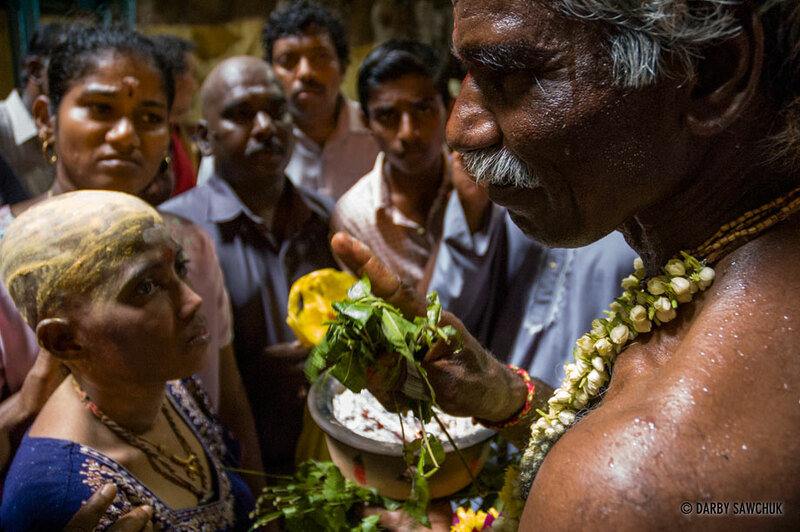 The Hindu festival of Thaipusam celebrated in and around the Batu Caves in Kuala Lumpur, Malaysia. 13. 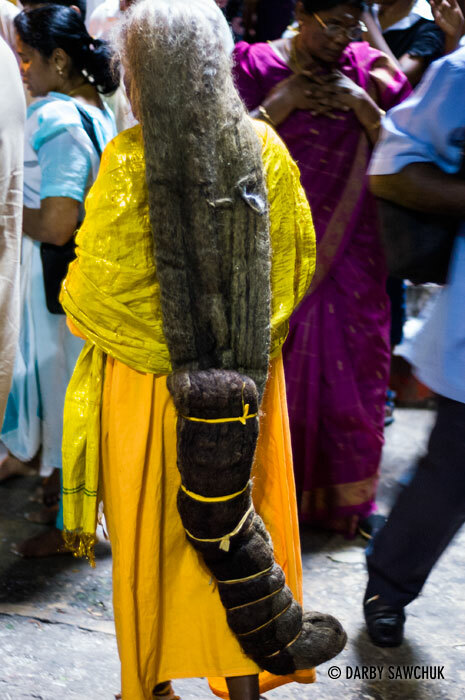 The Hindu festival of Thaipusam celebrated in and around the Batu Caves in Kuala Lumpur, Malaysia. 14. 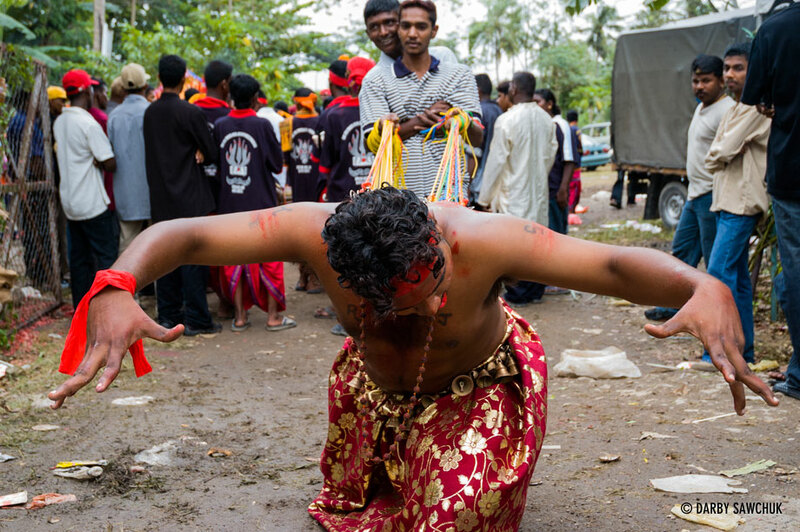 The Hindu festival of Thaipusam celebrated in and around the Batu Caves in Kuala Lumpur, Malaysia. 15. 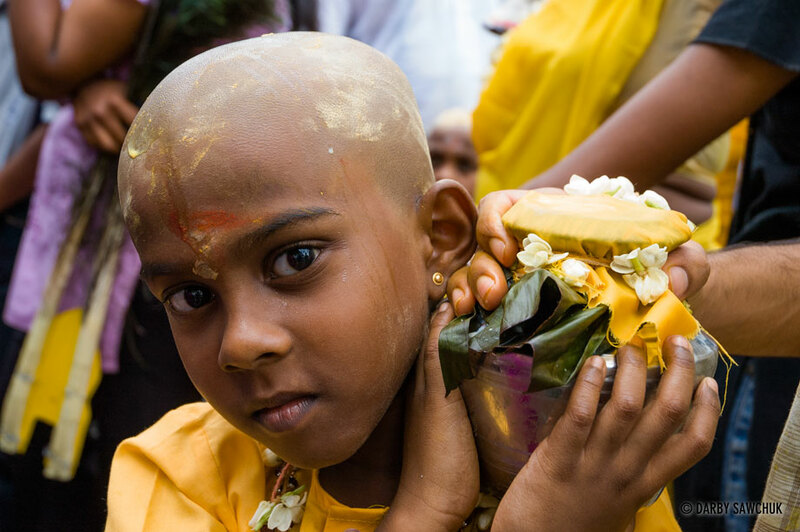 The Hindu festival of Thaipusam celebrated in and around the Batu Caves in Kuala Lumpur, Malaysia. 16. The Hindu festival of Thaipusam celebrated in and around the Batu Caves in Kuala Lumpur, Malaysia. 17. The Hindu festival of Thaipusam celebrated in and around the Batu Caves in Kuala Lumpur, Malaysia. 18. The Hindu festival of Thaipusam celebrated in and around the Batu Caves in Kuala Lumpur, Malaysia. 19. The Hindu festival of Thaipusam celebrated in and around the Batu Caves in Kuala Lumpur, Malaysia. 20. The Hindu festival of Thaipusam celebrated in and around the Batu Caves in Kuala Lumpur, Malaysia. 21. The Hindu festival of Thaipusam celebrated in and around the Batu Caves in Kuala Lumpur, Malaysia. 22. 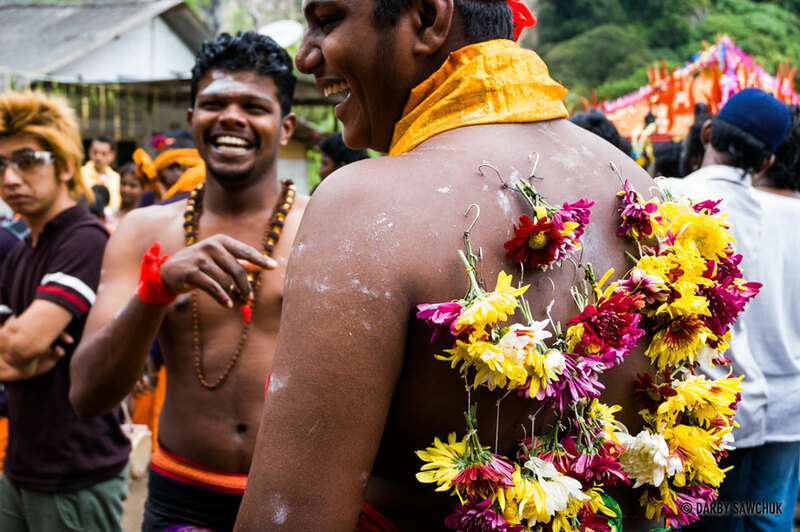 The Hindu festival of Thaipusam celebrated in and around the Batu Caves in Kuala Lumpur, Malaysia. 23. 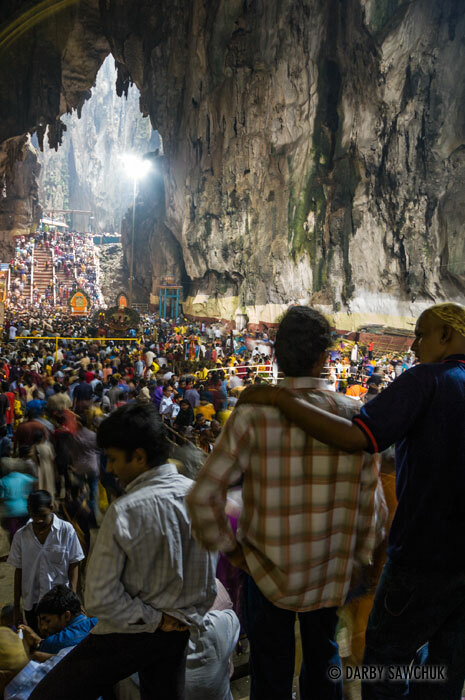 The Hindu festival of Thaipusam celebrated in and around the Batu Caves in Kuala Lumpur, Malaysia. 24. The Hindu festival of Thaipusam celebrated in and around the Batu Caves in Kuala Lumpur, Malaysia. 25. The Hindu festival of Thaipusam celebrated in and around the Batu Caves in Kuala Lumpur, Malaysia. 26. 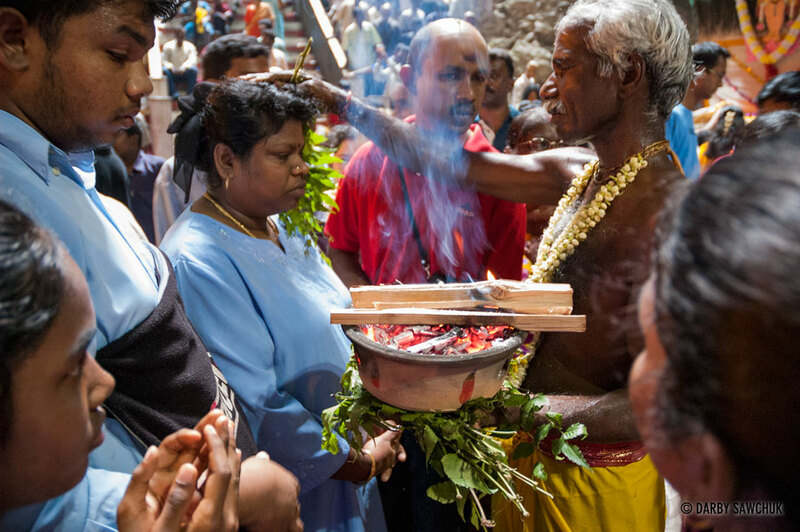 The Hindu festival of Thaipusam celebrated in and around the Batu Caves in Kuala Lumpur, Malaysia. 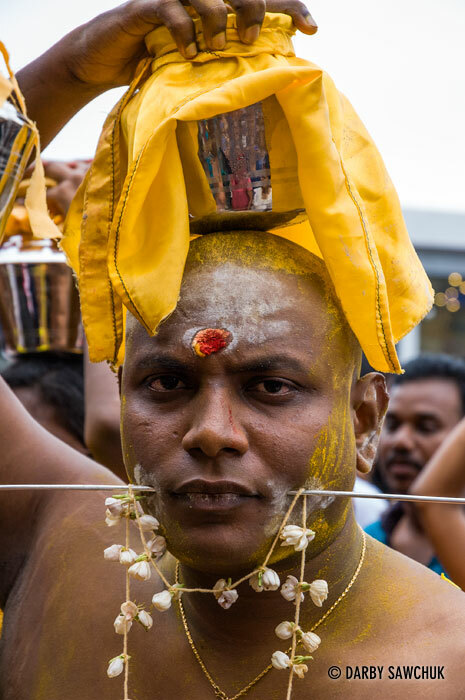 Keywords: photos of thaipusam, images of thaipusam, pictures of thaipusam, hindu, festiva, photos of malaysia, images of malaysia, pictures of malaysia, landscape photography, people photography, travel photography, fine art prints, stock photography.